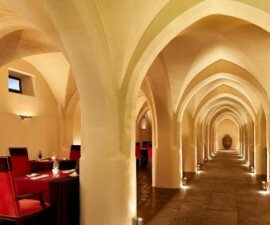 The Degust’AR Restaurant in Évora is one of the most luxurious and glamorous in this historic city of central Portugal. Located in the heart of the historic centre in the building of the sixteenth-century Sepulveda Palace, it retains many of the original architectural features for which this UNESCO World Heritage city has earned its fame. The décor is perhaps the best of any restaurant in Évora. Low, white vaulted ceilings dominate the proceedings, and yet the sixteenth-century architecture is offset beautifully by a contemporary feel and wonderful twenty-first-century décor. The use of light woods, plenty of glass, crisp white linen and splashes of muted colours has created a dining room which feels spacious, airy and more than a little bit special. Couple this with the outdoor terrace area for al fresco eating under the stars in Portugal’s balmy summer evenings and it is easy to see why this restaurant in Évora has gained such popularity. 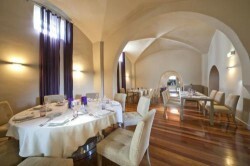 Degust’AR Restaurant was the brainchild of award-winning chef Antonio Nobre. Nobre is more than just a chef, he is something of a national name, having published several well-known recipe books and made regular appearances on Portugal’s TV stations presenting and guest featuring on cookery programmes. His cookery embraces the aromatic flavours of the Alentejo with its pig rearing and olive growing traditions, bringing a modern European twist to centuries-old recipes. 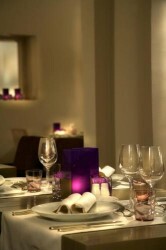 Start your meal with the tasty “couvert” for two to get the gastronomic juices flowing. Follow up with game smoked sausage sautéed with turnip leaves and quails eggs or crunchy Serpa cheese with sun-dried fruits and wild rocket salad. Tasty mains include octopus sautéed in garlic olive oil with potato porridge and tomato, green beans and regional crunchy bread or traditional Évora favourites with a modern twist such as Alentejo dogfish soup, or pork kidneys in wine. The wine cellar takes pride of place along one of the restaurant’s main walls, with hundreds of bottles on show within their especially created glassed-in storage display. 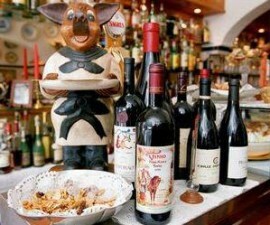 The list features a plethora of offerings from all over Portugal, including of course a large selection of the local Alentejo offerings. Ask the sommelier to select a suitable bottle to match your food order, or opt for the tasting menu which comes with a selection of wines pre-selected to perfectly set off the delights of your meal at Degust’AR Restaurant.